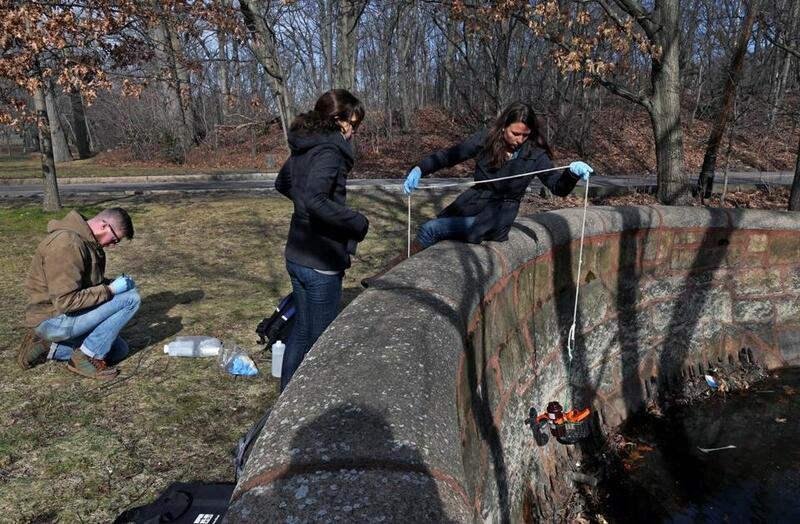 From left, interns Richard Treanor and Bethany Perkins helped Elisabeth Cianciola, a Charles River Watershed Association scientist, test water from Willow Pond in Boston. 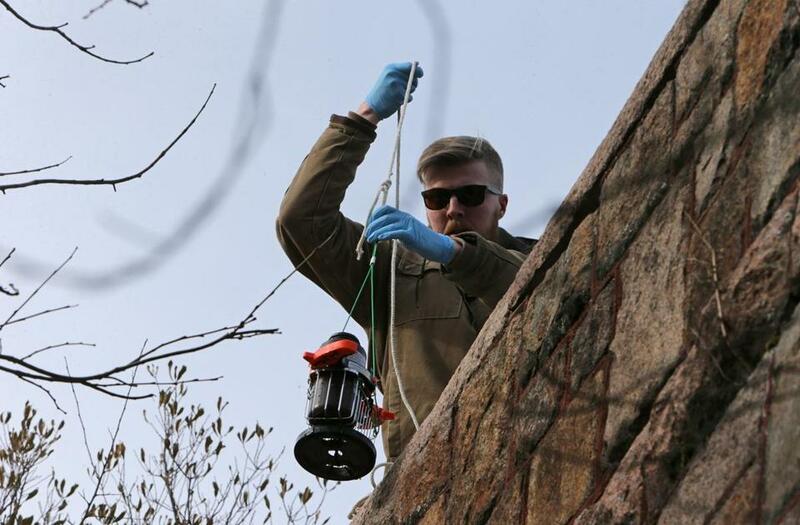 Nearly every summer over the past decade, toxic algae blooms, fueled by warm weather and contaminated runoff, have coated parts of the Charles River. Now the federal government is poised to issue sweeping regulations ordering a cleanup, a move expected to cost some river municipalities tens of millions of dollars. The regulations, which federal officials say will be issued next month and take effect later this year, have sparked a range of concerns in cities and towns near the river. In Franklin, for example, where the river runs for several miles, local officials estimated the regulations would cost households an average of $300 a year, and at least $62 million over 20 years, to do things like capture and treat more water. Environmental Protection Agency officials said federal dollars will help pay some of the costs. Supporters say the regulations, coming after years of debate, are long overdue and crucial to improving water quality. 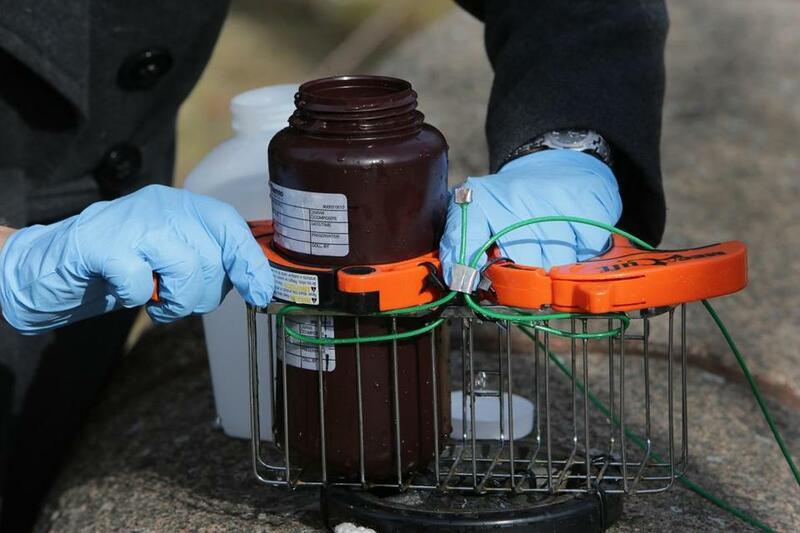 The new regulations will require 260 municipalities that feed into the Charles River watershed to remove at least 54 percent of the phosphorus that washes into the river every year. Phosphorus, which comes from car exhaust, animal waste, and fertilizers, is the main cause of the algae blooms, which appear as foul-smelling, bluish-green scum. Municipalities will be required to do whatever they can to allow more water to drain directly into the ground and wetlands, which filter out the phosphorus and other harmful chemicals, rather than have that water flow into the river. Over the next 20 years, communities will be required to replace asphalt with porous pavement, increase street sweeping, clear catch basins more regularly, and rebuild wetlands, among other things. Environmental advocates praised the regulations, saying they will help to reduce flooding, droughts, and pollution. But they worry the measures will take too long to take effect. The 34 municipalities adjacent to the river will probably pay significantly more to comply with the regulations. “The federal government is imposing unrealistic mandates that could force these communities to cut back in other areas, or significantly increase their property taxes to comply,” said Geoffrey Beckwith, executive director of the Massachusetts Municipal Association, which advocates for cities and towns. He cited estimates by the state’s Special Water Infrastructure Finance Commission that suggest compliance could cost about $18 billion. “We’ve expressed serious concern to the EPA on the costs and feasibility,” said Beckwith, who urged the federal government to provide financial support. Richard Treanor, a watershed association intern, drew water from Leverett’s Pond. Brutus Cantoreggi, Franklin’s director of public works, said it would be more feasible if Frankin had an additional decade to comply. But EPA officials and environmental advocates insist that cleaning up the river is worth the cost and note the agency has allotted more than $110 million in grants and low-interest loans to help upgrade sewage treatment plants and drinking water systems, reduce pollution from stormwater runoff, and protect sensitive water bodies. The river is much cleaner than it used to be, the result of billions of dollars spent to reduce the flow of raw sewage into local waters as part of the Boston Harbor cleanup. In 2015, the river’s lower basin was suitable for swimming 70 percent of the time, according to the watershed association. In 1995, the river met swimming standards just 19 percent of the time. Still, the association had to fly yellow caution flags for 65 days last summer because of the presence of cyanobacteria, the main ingredient of algae blooms. For years, public health officials warned that exposure to cyanobacteria — touching or ingesting it — could cause skin irritation, breathing problems, and gastrointestinal issues. But new research has also linked the bacteria to neurodegenerative diseases, such as Alzheimer’s disease and ALS, and suggested that it could be harmful to inhale. That has raised questions about whether state and local officials should be doing more to warn residents of the potential dangers of algae blooms, or ban recreation on the river when they appear. Christopher Kilian, director of the clean water program at the Conservation Law Foundation, urged officials to take action. Officials at the state Department of Public Health said they are reviewing the new research but will continue to follow current guidelines on health advisories and warnings. The guidelines require that strands of the bacteria be visible on the surface of the water. “We would take immediate action, if we thought immediate action was necessary,” said Marc Nascarella, who directs the department’s environmental toxicology program. EPA officials said they have yet to reach a conclusion about new standards, but they’re monitoring the research. While they await more definitive research, EPA officials said the best solution is to do as much as possible to reduce bacteria levels in heavily used bodies of water like the Charles. Elisabeth Cianciola, a scientist with the Charles River Watershed Association, drew water from Willow Pond for testing. Correction: Because of a reporting error, an earlier version of this story misstated the estimated cost in Franklin of new federal regulations to reduce contaminated runoff into the Charles River.